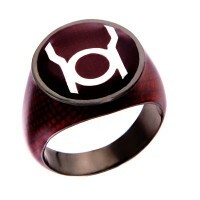 This is unique Red Lantern Inspired Power Ring.New Blood Red Snake Skin Edition. It's best good look.. This is unique Black Lantern Corps Inspired Power Ring. It's best good looking Black Lantern Power R.. This is unique Green Lantern Inspired Power Ring. New Green Snake Skin Edition. It's best good looki.. This is unique Blue Lantern Inspired Power Ring.New Blue Black Snake Skin Edition. It's best good lo.. This is unique New Sinestro Corps Inspired Power Ring. It's best good looking Sinestro Corps Inspire.. 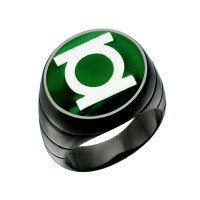 This is unique Green Lantern Inspired Blackest Night Style Power Ring. It's best good looking Green .. This is unique Superman Returns "S" inspired pendant. It's best good looking Superman Returns insp.. This is unique White Lantern Inspired Power Ring. It's best good looking White Lantern Inspired Powe.. This is unique Blue Lantern Inspired Power Ring. It's best good looking Blue Lantern Inspired Power .. 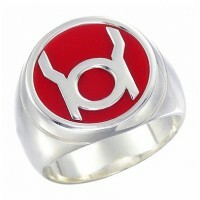 This is unique Red Lantern Inspired Power Ring. It's best good looking Red Lantern Inspired Power Ri.. The self-appointed Guardians of the Universe, possibly the oldest sentient race in the DC Universe, have held several campaigns over their enormously long existence in an attempt to police and bring order to the universe. Their most successful and enduring campaign so far has been the Green Lantern Corps. Dividing space into 3600 sectors, they have currently assigned two Green Lanterns to patrol each sector. To help perform his, her, or its duties, each member of the Green Lantern Corps is armed with a power ring. Power rings are staggeringly advanced technological artifacts capable of generating a variety of effects, sustained by the wearer's orientation to a particular aspect of the emotional spectrum. 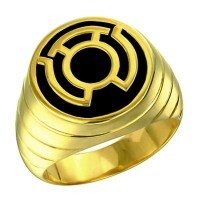 Normally, an individual will only receive a power ring upon the death of the previous wielder, and then only if they pass the criteria for membership in the Corps. It is unusual for someone to wield more than one power ring at once.